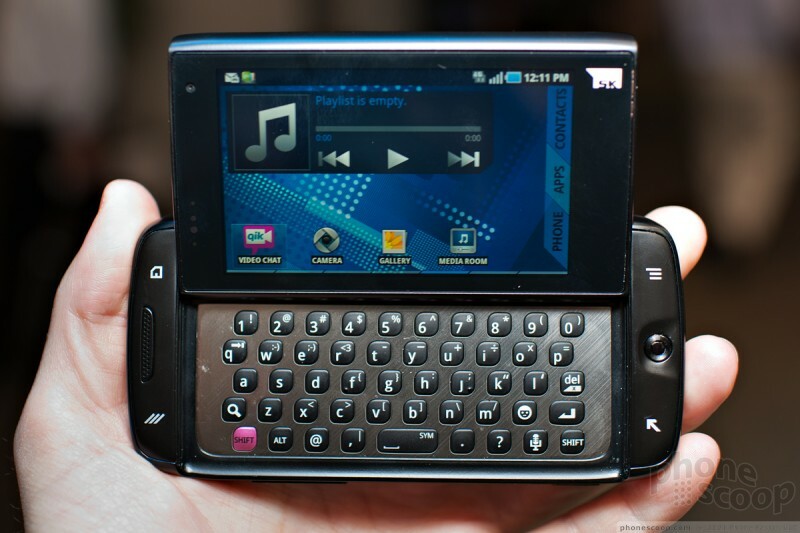 We spent some time with the new Samsung Sidekick 4G for T-Mobile. 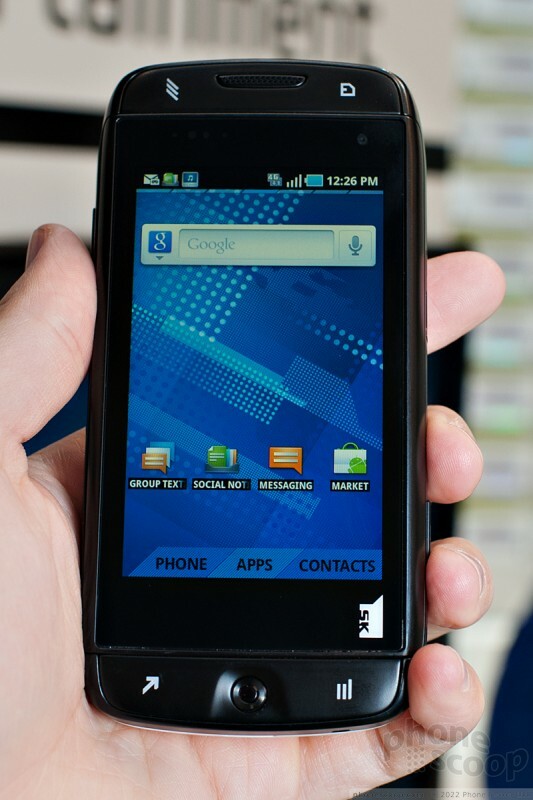 It does have a Sidekick feel to it, and some interface changes that make it quite different than most Android phones. Read on to find out what we liked and what we didn't. 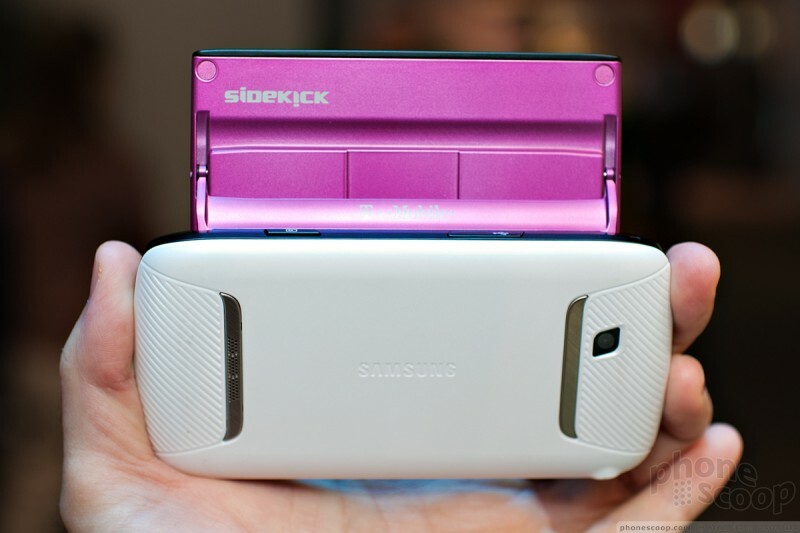 Samsung's take on the venerable Sidekick series is curious. As promised by T-Mobile, it smashes the basic Sidekick form factor and software features together with the Android platform and a new manufacturer: Samsung. The form factor looks and feels like a Sidekick when closed. If anything, it feels more solid than the cheaper models made by Sharp. The buttons feel and look good. 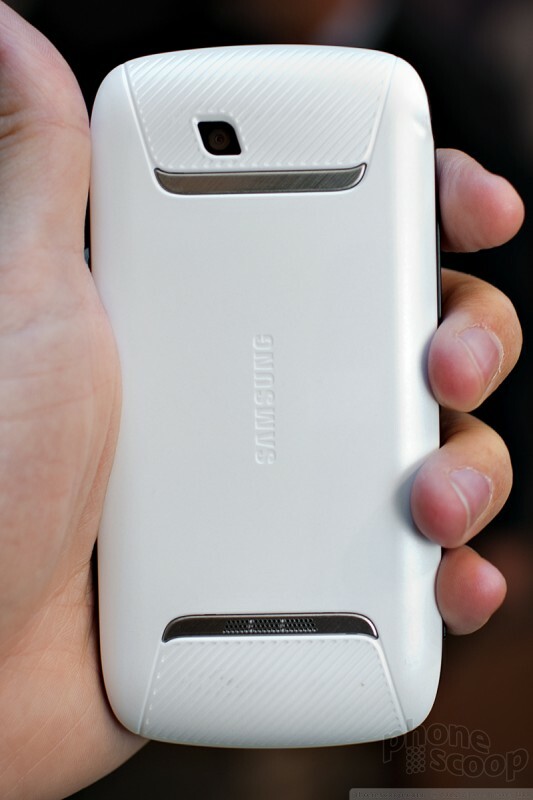 The back has a unique shape and texture that improves grip when help sideways. Open it up, and things change before it's even all the way open. Because, you see, it doesn't spin open with a fancy pirouette motion like Sharp-made Sidekicks. Apparently Danger (now Microsoft) owns the patent on that little trick. 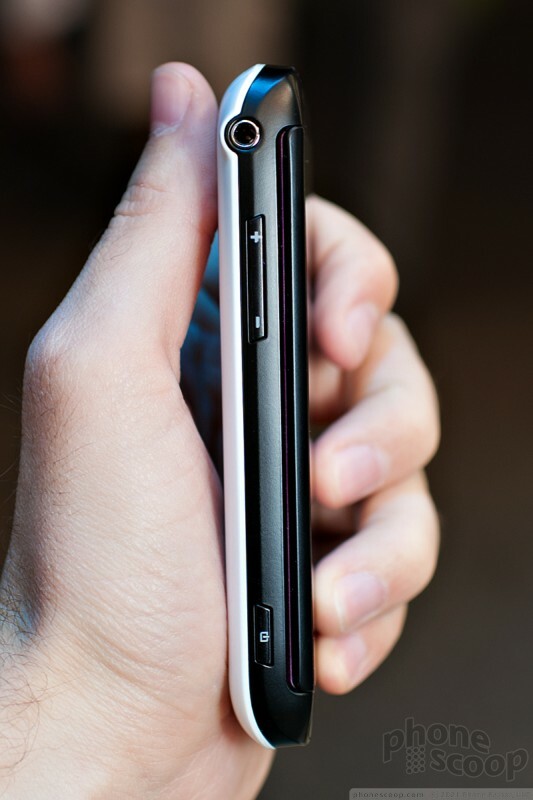 So Samsung's take is more like a Nokia N97 or E7, in that it slides open, but pops up into a rigid tilt as it slides. If you nudge the bottom of the screen like you would an old Sidekick, it pops open, so at least they're harnessing the muscle memory of old Sidekick die-hards. The slide/tilt mechanism feels quite sturdy, although peeking into it when open, you see a relatively exposed circuit board cable, which doesn't inspire confidence. Once open, the keyboard is classic Sidekick: very good. The keys feel great and work even better. If anything, they feel too far apart, but in a way I think I would get used to quickly. There are dedicated period and comma keys, and the good ol' @ symbol. Curiously, the @ is also the alt key on the 2 key, so they give you two ways to type it. Personally, I'd like an apostrophe key, too, but you can't have it all. Other hardware notes: 4G data and a front-facing camera round things out. The hardware is generally good, although my one niggle is with the optical joystick. It's a key Sidekick feature, and it works fine in portrait mode, but a Sidekick is a very landscape-oriented device, and held that way, the optical joystick is very recessed, and in a weird c-shaped dent, that makes it difficult to reach; you really have to mash your thumb into it. And I have relatively small hands and soft skin, so others might have even more trouble with it. It's not designed well. The software is somewhat strange. 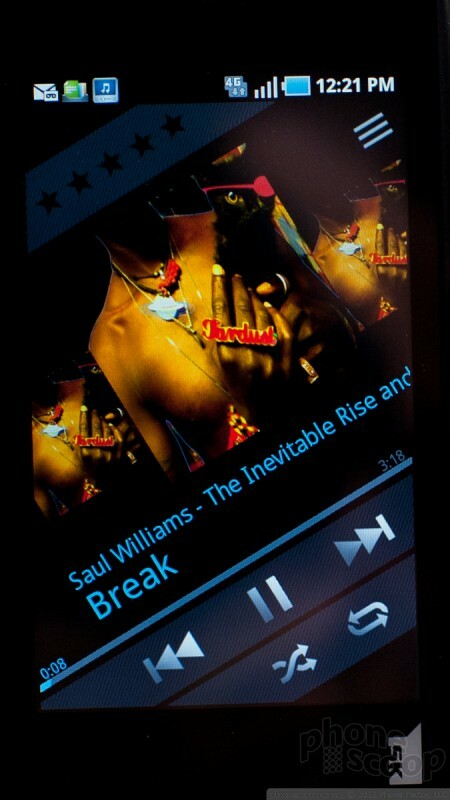 They have applied a skin that changes the look of the main Android screens, but not the functionality. 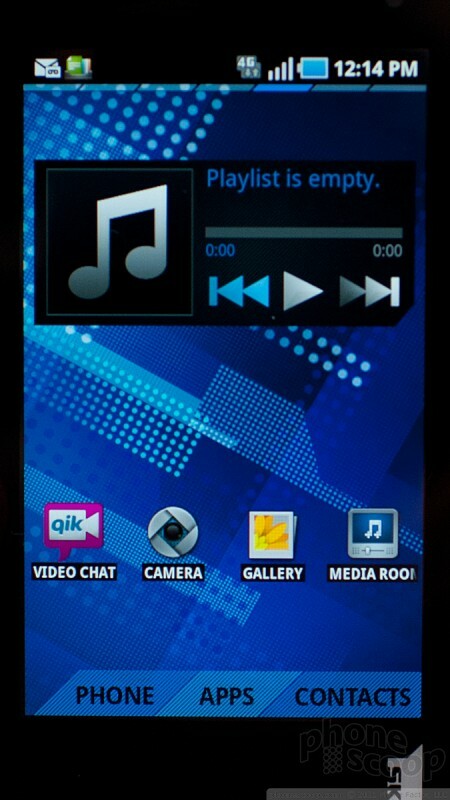 There is also a set of apps that bring certain Sidekick-like features to Android. 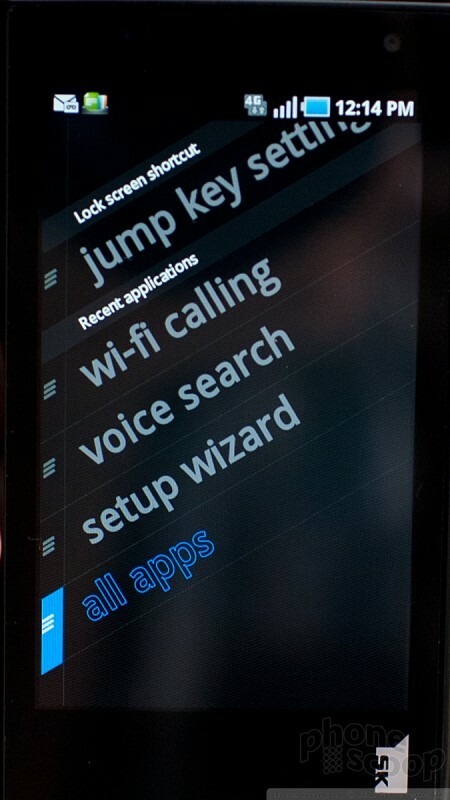 To tie it all together, they've added a "jump menu" with a slick diagonal look. Bottom line: they haven't tried to put the whole Sidekick interface on top of Android, they've tried to blend them, and the result takes some getting used to. The default skin looks nice enough, and there are several very different, nice-looking options. 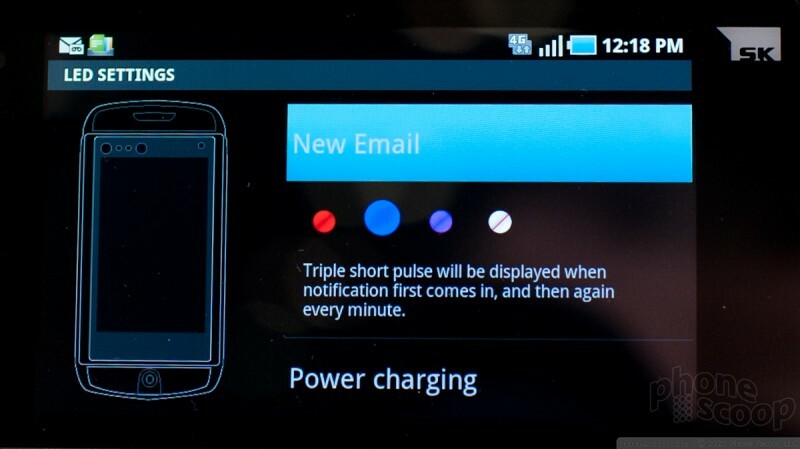 It's one of the most successful attempts I've seen to customize the look of Android. The new apps that add Sidekick features sound great, although they're almost all social, so we'll need to test features like Cloud Messaging and Group Messaging at home with our own unit to give you a good impression. 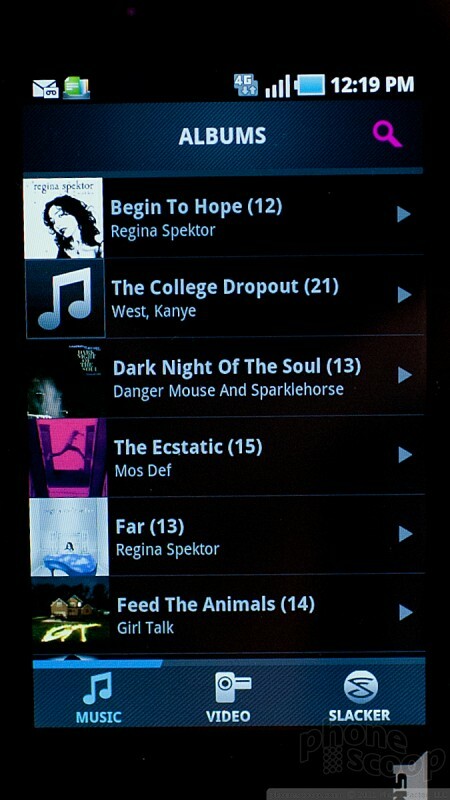 The music player has a major facelift. It's pretty slick-looking, with everything tilted on an angle. It also can some cover-flow-esque flourishes. The jump menu looks great, and could be as useful as any customizable quick jump-to-X shortcut menu, but it's no huge innovation. If you essentially skip the menu by using a memorized key shortcut, it's even faster. So you can hold down the big "jump" button and press "c" to go right to your contacts, for example. But if you just press the "jump" key to bring up the menu, it doesn't work very well. For example it shows shortcut letters (like c for contacts) but pressing them does nothing. And trying to use the optical joystick doesn't work until you figure out that you're supposed to swipe up to go left, and down to go right. It's very poorly designed. But at least the "jump" menu is very customizable. 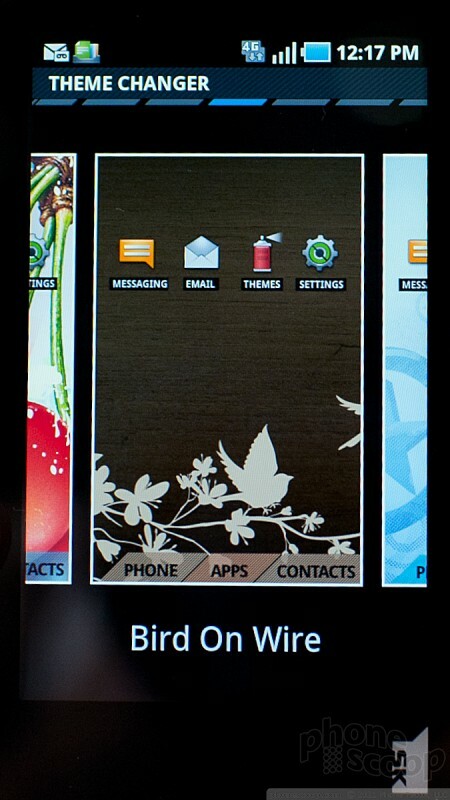 If you use the menu with the phone closed, it works great. With the phone open, they clearly expect you to hold down the jump key and press a letter, skipping the menu itself. 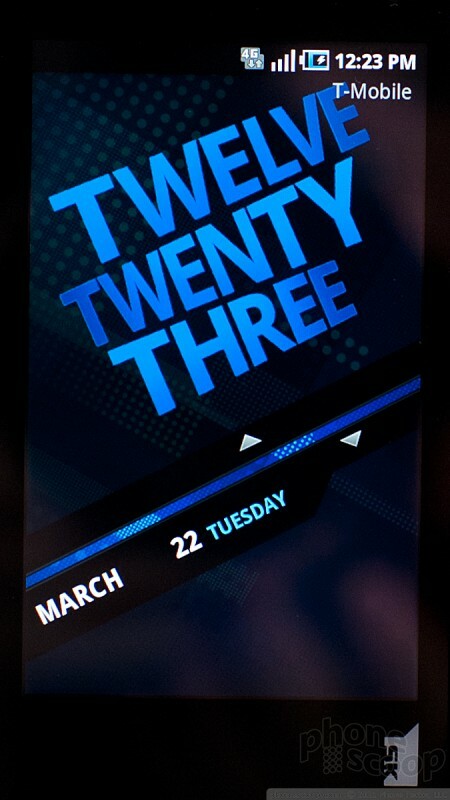 One last trick - which actually seems pretty darn useful - is the lock screen. 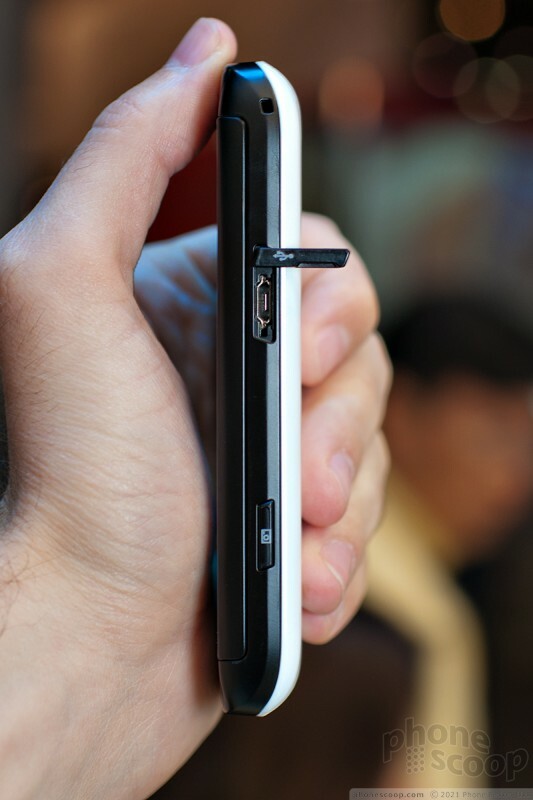 You slide it down to unlock, but slide it up to launch right into the app you've set as the lock screen shortcut. So whatever app you use most you can set to be a one-swipe shortcut from the lock screen. It's very handy. I should also mention that the units we tried were very buggy. It's pre-production, so that's fine; obviously they expect to do more work and fix everything before launch. But in my opinion, they have a lot of work to do. I'd be surprised if it launches before June, at least if they want to launch with reliable software. The Sidekick 4G, made by Samsung, looks to revitalize one of the brands that gave T-Mobile its street cred back in the early 2000s. 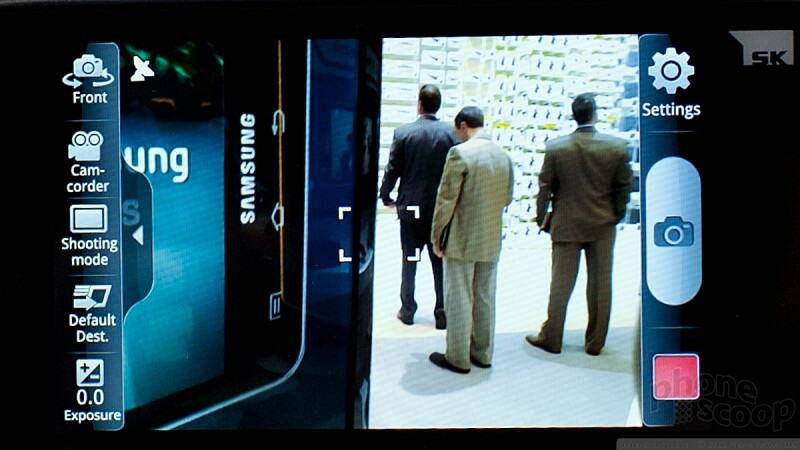 Samsung has a lot of high heels to fill with this device. T-Mobile and Samsung today announced the Sidekick 4G, a new generation of the Sidekick family that retains the Sidekick's defining characteristics while also breaking new ground. 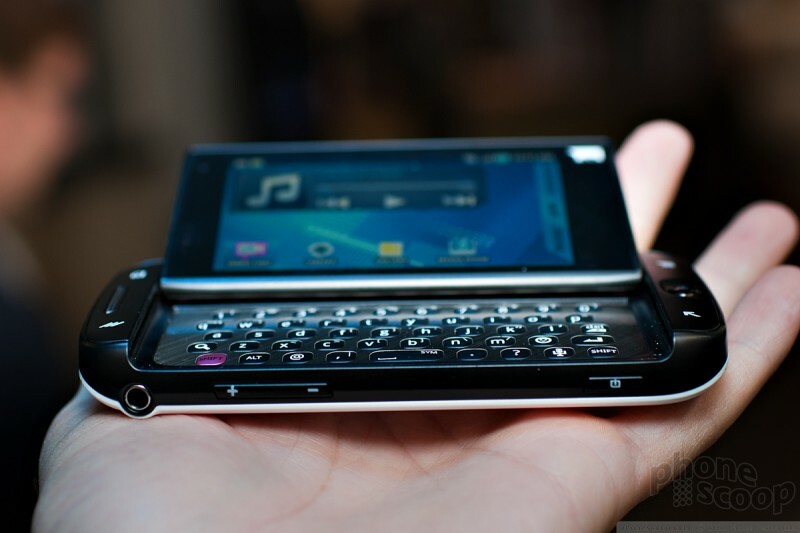 The Sidekick 4G keeps the familiar hardware design with pop-up 3.5-inch touch screen and five-row QWERTY keyboard, but it runs Android 2.2 Froyo with a number of customizations by Samsung and T-Mobile.